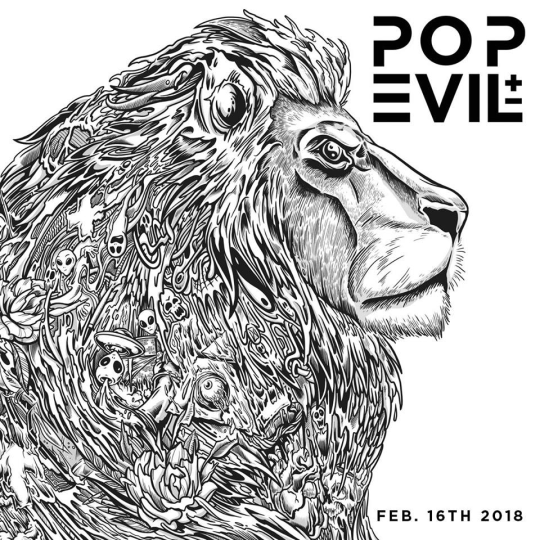 To help hold fans over until they drop their highly anticipated self-titled album on February 16th, hard rock outfit Pop Evil are giving listeners a behind-the-scenes look at their time spent in Nashville working on the newest LP. Coming via a new three-minute video, which is the first in a series of videos to come, Pop Evil frontman Leigh Kakaty takes fans through the writing and recording process for their fifth full-length record. To check out the clip and get yourself hyped for new Pop Evil music, be sure to look below. Afterwards, make sure to pre-order the band’s new album and grab tickets to see them out on their Noise Presents headliner with Palaye Royale and Black Map here.